This pack was probably the culmination of a mixture of designs from 19th century Germany which emerged as one of Dondorf's more popular house patterns by around 1900. 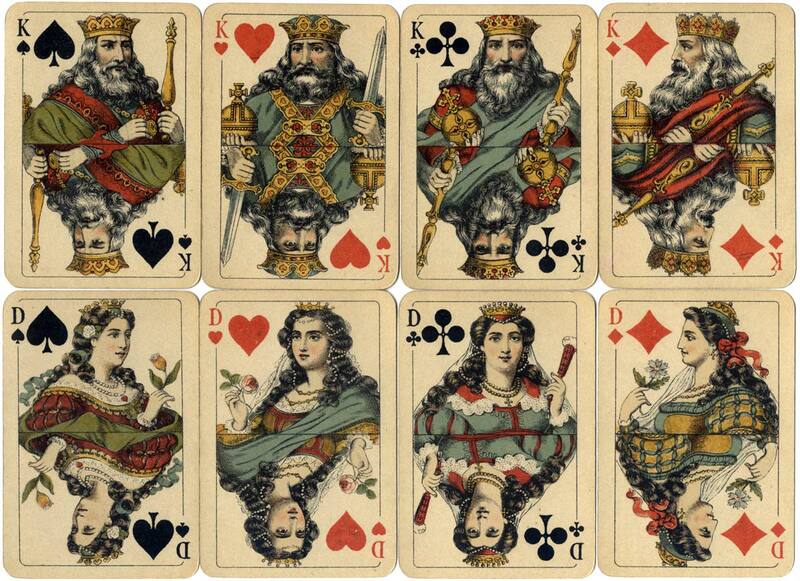 The four Kings each have white wavy hair and beards, giving rise to the nickname “Jewish Pattern”. 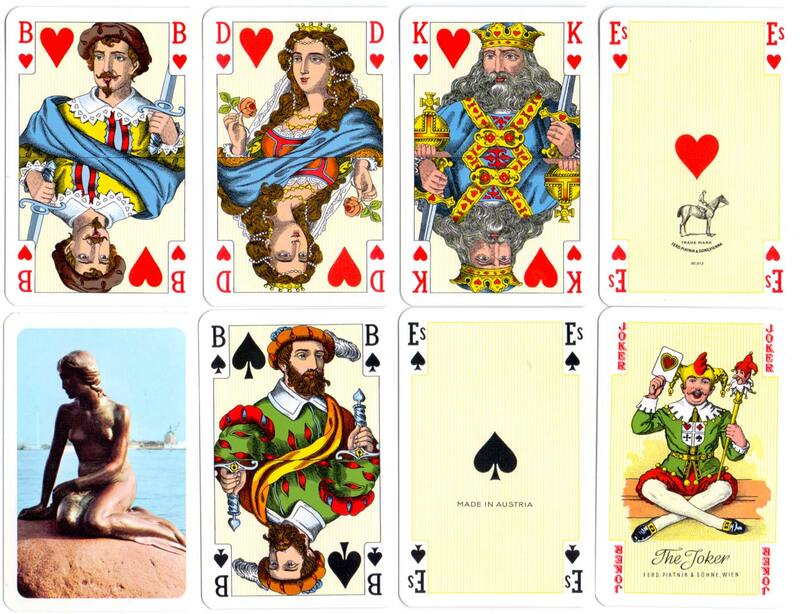 Its popularity was increased by its being widely used and copied by Austrian, Belgian, Dutch, Polish, Portuguese and other manufacturers, some of whom created new variants. 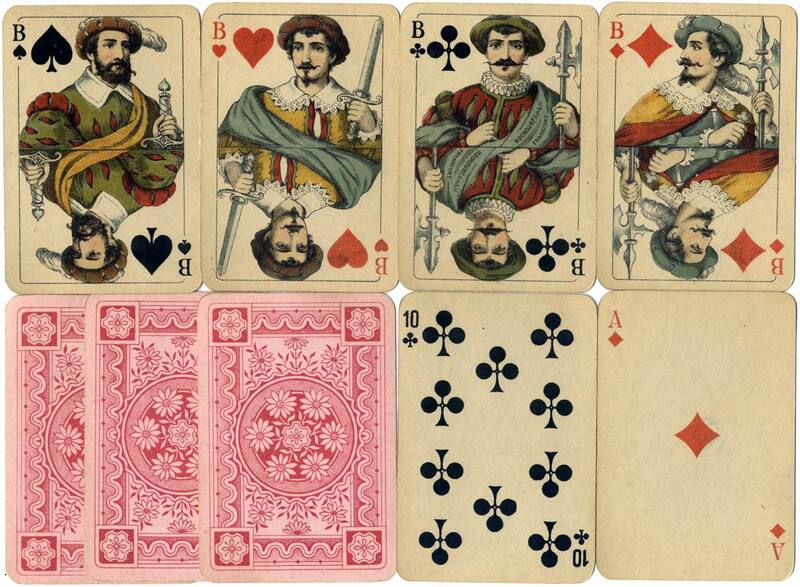 Some versions have scenic Aces (historical or geographical) which vary from pack to pack; others have plain Aces. 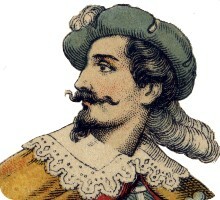 The pattern continued to be produced after the takeover by V.A.S.S. in 1933. 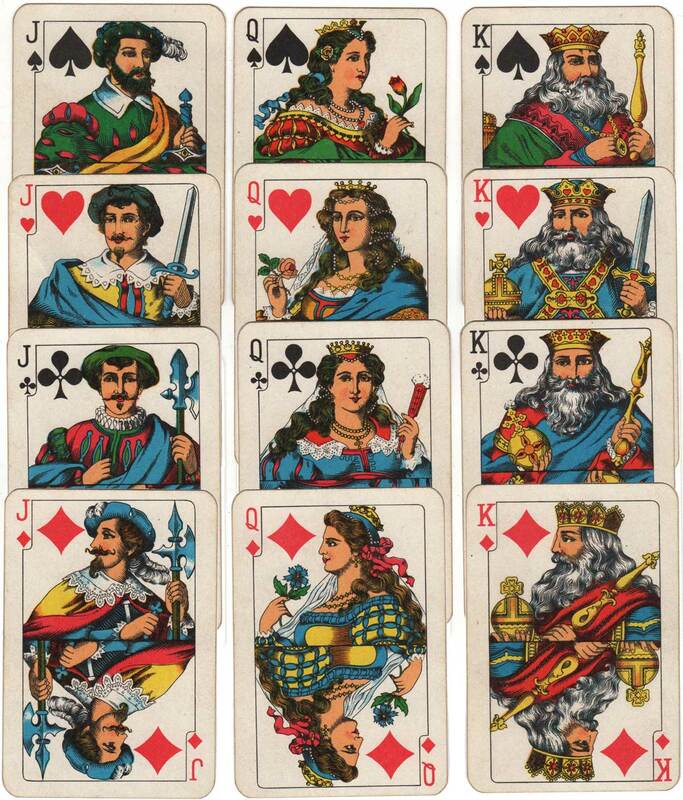 Above: Whist No.122 manufactured by Dondorf GmbH, c. 1910, sometimes referred to as “Jewish Pattern” because of the Rabbinical look of the bearded Kings. 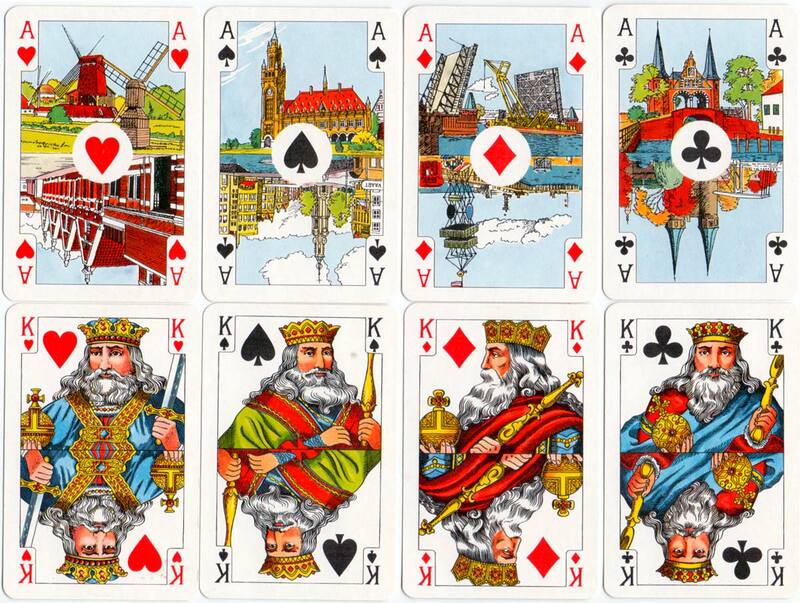 This example of the “Rhineland Pattern” has plain Aces. 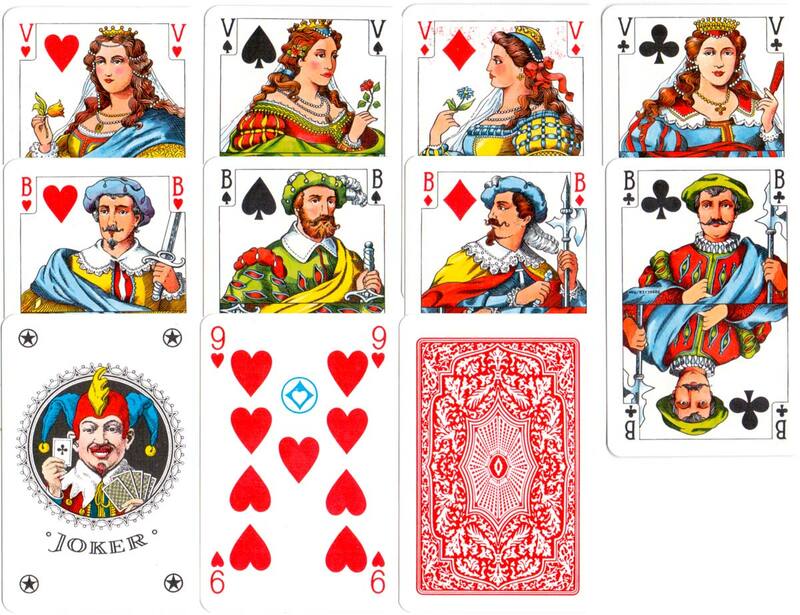 Above: this slightly earlier example of the “Rhineland Pattern” with no indices has special Aces for Java showing scenes are of Dutch history (click to see up-side-down). Images courtesy Rex Pitts. Above: Rhineland pattern with English indices printed by KZWP, c.1986. 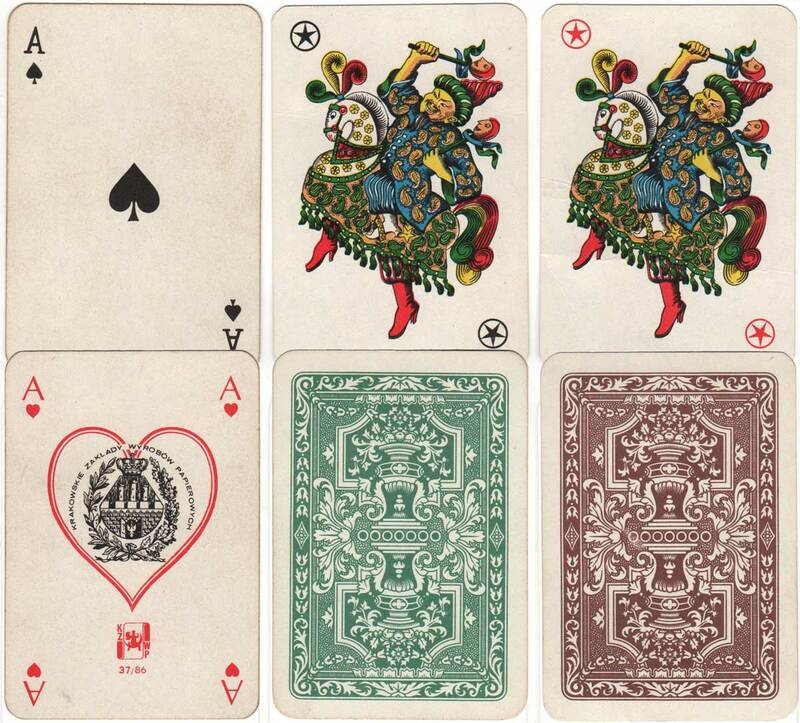 The ace of hearts has a different font for the indices, and has four indices while the other cards all have two. Housed in an unmarked silk-lined bridge box with no indication of a brand name. Image courtesy Matt Probert. Above: Rhineland Pattern for The Netherlands by F. X. Schmid, c.1990. Above: Rhineland Pattern for Copenhagen by Ferd Piatnik & Söhne, Vienna, 1996.